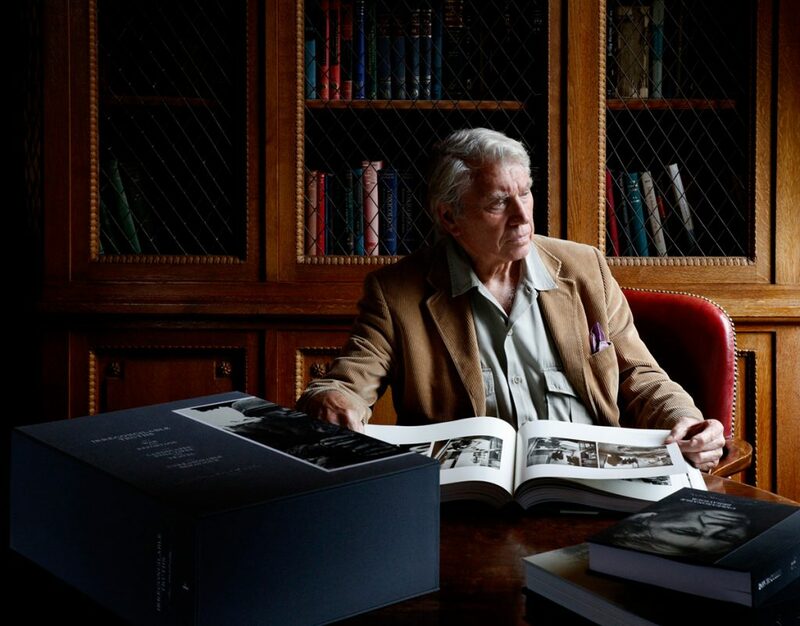 Don McCullin with his newly published three-volume lifetime retrospective Irreconcilable Truths, photographed by Katherine Wood at Hartham Park library. We are happy to announce that the book has begun shipping. The book has been published as a limited run of 1000, each signed by Don as a mark of authenticity, and housed within a hand-made presentation box. The books feature 1500 pages of print and more than 700 of his most iconic photographs and previously unpublished images. Irreconcilable Truths is a glorious exhibition in print and is curated by Don himself, and reproduced from vintage or wholly new prints made in his darkroom. Don has personally overseen every aspect of its production from the photo edit through to press.